The oldest on this list by far, Dancing Baby is one of the first viral videos which predates YouTube. Dancing Baby was put to the tune of Hooked on a Feeling, making for one hell of a ride. This clip was usually distributed by way of email early in the day, as well as on some early websites getting in on video sharing in the mid-late 90’s. Dancing Baby was one of the most popular viral videos from back in the day, with the animation having been created originally in 3D Studio Max. If you’ve never seen this before, you may have started browsing the internet a bit late. Badgers was one of those music videos that predates YouTube. The “newest” on this list before YouTube just started to crawl in, Badgers was first released in 2003. There’s something about the simplistic beauty that is just a neverending loop of badges, mushrooms and a snake. The tune is catchy as hell, comes from the mind of a guy who is, quite frankly hilarious – And the techno backing track is enough to keep you engaged for excessive amounts of time. We’ve discussed this many times before, as has a billion other websites, but the origin of the video comes from Warcraftmovies back in May 2005. 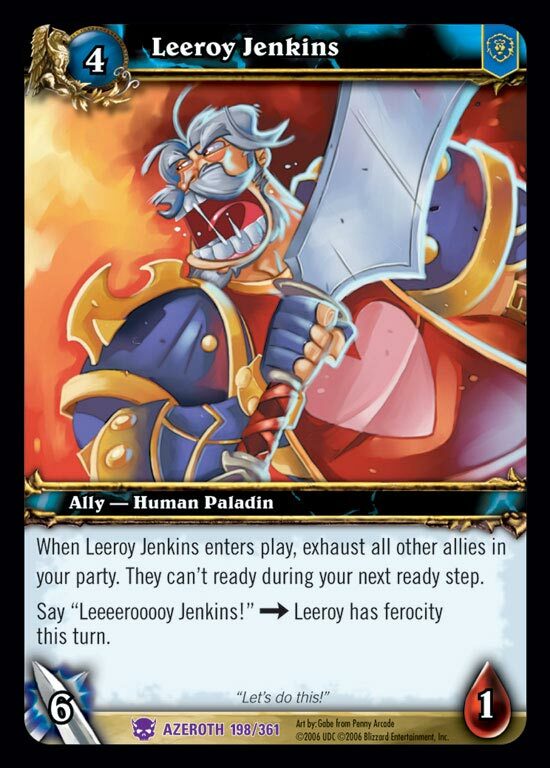 Leeroy Jenkins was a video created as a bit of satire, which people thought was serious. This was shared around World of Warcraft forums, but part of the fun of the video includes the technical jargon at the start of the video – Which were not correct understandings of the games mechanics at the time. Ah well, at least they will forever be <PALS FOR LIFE>… Right..? There was a time when the internet really thrived on being random. This was one of those times. Old Godzilla starts off by hopping around Tokyo city like a big playground, then at the end of the showdown, we are left with Mr. Rogers in a bloodstained sweater (Sorry for the massive spoilers which, I appreciate could impact your day). Anyway, this was one of those catchy songs that was put together, given a funny animation and then put online – For it to become a massive success story. It was truly a viral video which was shared far and wide, becoming one of the most popular animations on Newgrounds. In terms of when this came out, in late 2005, YouTube had started but it hadn’t really garned massive success by this point. It was definitely a thriving, growing platform, but Newgrounds was still arguably the undisputed king for the animators. However, thanks to the powers of the internet, The Ultimate Showdown can be seen on YouTube these days, just like many of the videos from today’s list. You know it, you must know it. He-Man singing the amazing 4 Non Blondes classic, What’s Up. If you’ve never seen it, it’s one of those surreal videos that’s existed since 2005, which even to this day still gets shared around. It’s funny, it’s simple – And it’s somewhat beautiful. If you’ve never seen the campiness that is the cartoon He-Man and the Masters of the Universe, you absolutely must… But before you do that, just enjoy the simplicity of He-Man singing to a belter of a tune. Then CEO of Microsoft, Steve Ballmer, was able to be remixed to create this amazing tune. Sometimes it just takes someone being really excited on stage to create some excellent content for us to enjoy years down the line. There’s little to say about this, just enjoy the time someone on the internet decided to create a remix out of something as simple as a man being incredibly over the top with his enthusiasm. Now it’s over to you – Did you know all of these classics, or did one or two of them throw you off? What older memes/viral videos do you know of that’s not on this list? Let’s celebrate all that is old viral videos – and perhaps we’ll keep up the conversation of what a meme is? Share your favourite older memes with us in the comments below, or over on our Facebook and Twitter pages. Happy video sharing, folk! This entry was posted on March 22, 2019 by Timlah. It was filed under Entertainment, YouTube and was tagged with badges, Before YouTube, Dancing Baby, Developers Developers Developers Song, HEYYEYAAEYAAAEYAEYAA, Leeroy Jenkins, old memes, really old memes, ultimate showdown of ultimate destiny, Viral videos. I really love the he-man one. It is terrible and yet once it starts I can’t not watch it. It’s a classic that I just can’t help but sing along to, every damn time! Dancing baby is basically the grandfather of viral videos :) Memes owe a lot to that video.